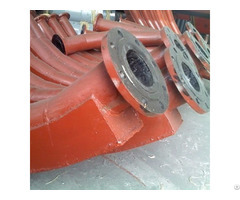 Bi Metal Clad flanged pipe are cast with mold vanishing vacuum suction casting cladding process. Outer of straight pipe is common steel pipe, cladding realized by forming high chromium lining via centrifugal forming technique. Outer of bend uses hot-bending bend and lining is cast with high-chromium cast iron. Bends and other profile sections can be cladded in whole and this process has changed the traditional practice to fabricate bend and other profile sections by drawing polyline without changing flow pattern of material inside piping, greatly reducing conveyance resistance of material. 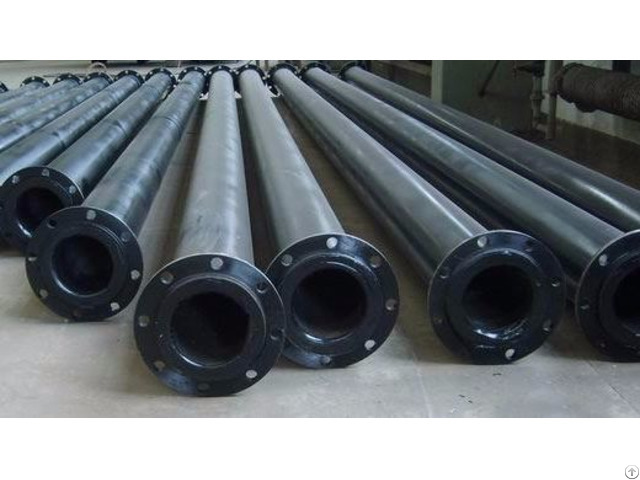 Compared with corrosion-resistant alloy pipe, bimetal composite pipe has higher strength. Compared with common steel pipe with internal anti-corrosion coating, bimetal composite pipe has better abrasion resistance. Compared with FRP/GRP pipe, bimetal composite pipe has better heat resistance. Low-cost base pipe, fewer CRA layer or lining pipe and optimal design of wall thickness make bimetal composite pipe cost effective. The patented technology, special equipment and manufacturing process are used to guarantee surface quality of bimetal composite pipe and corrosion resistance of welding seam, ensure safe and reliable operation. Bimetal composite pipe can remarkably reduce maintenance and management expenses during the operation.